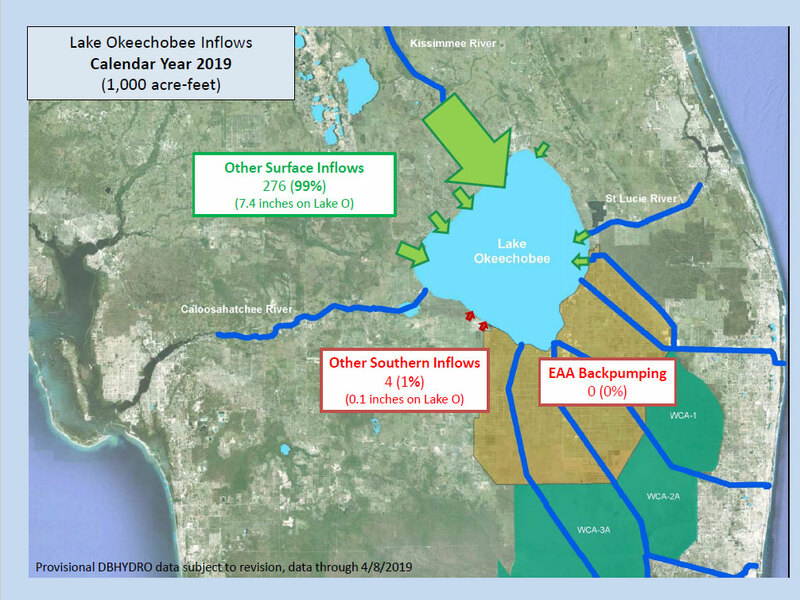 Here is the latest update on inflows into Lake Okeechobee for the calendar year to date. There has been no back-pumping into Lake Okeechobee from the Everglades Agricultural Area this year. This data is provided by SFWMD’s DBHYDRO database.